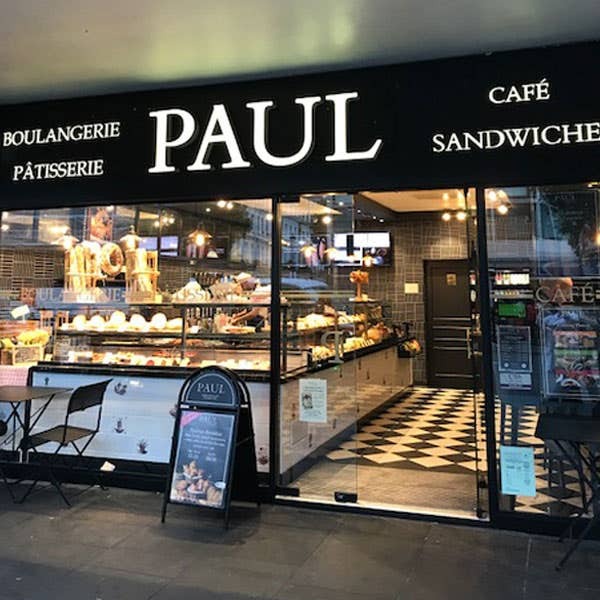 PAUL in Notting Hill can be found on the South side of Notting Hill Gate at number 61, between Kensington Church Street and Hillgate Street, very close to the tube station and the nearby Gate and Coronet cinemas, so it’s a great place to pick up a coffee, croissant, sandwich, freshly baked loaf or some patisserie when you are in the area. We are a short walk from Portobello Road and its world famous Saturday antique market. Just cross to the other side of the road, walk up Pembridge Road until you reach a pub called The Sun in Splendour on your left, and this is the junction with Portobello Road. The market started with the buying and selling of horses in the 1800s. Antique dealers arrived in the late 1940s. Portobello Road was once a track leading to a farm named in honour of Admiral Vernon’s capture of Porto Bello (in the Gulf of Mexico) from the Spanish in 1739. The ‘gate’ in Notting Hill Gate was an 18th century turnpike. Nearest station Notting Hill Gate (Central, Circle and District Lines). 5 seats inside, 2 seats outside.